While at first you might be wondering just how this piece of solid paper will help you out, know that it is a useful item that will produce a pseudo-solar radiation that ends up sterilizing the garden bed, as means of creating a space free from any possible contamination to make the mushrooms grow effectively. In general, fungi grow especially well in compost, including manure-based ones. Often made from a rich mixture of elements, it will help to nourish the spores as they germinate. If you plan to grow your Portobello mushrooms outside, having a garden bed will help for an easier drainage system. Whether or not you choose to purchase them at your local home and gardening store or cultivate them from the existing fungi, mushroom spores are the key ingredient to get started on your mushroom-making journey. Concerning indoor growing, newspapers are a great way to use for mulching, i.e. a decomposed item to offer nutrients in the soil as means of enriching the mushroom spores. Also used for growing Portobello mushrooms indoors, peat moss provides an acidic pH which serves as a soil amendment for cultivating mushrooms, which thrive in acidic environments. 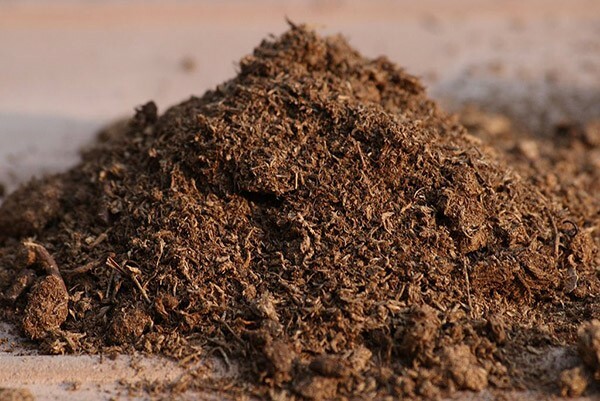 In terms of obtaining peat moss, you can either choose to buy it at your local home and gardening store or try your hand at growing it yourself. For indoor growing, the tray acts like a garden bed to contain and support the mushroom spores. We advise you to look at the dimensions before using one, just to make sure that it is enough to hold all the ingredients. Besides, We can use plastic pots for their work. This is not to say that you need a ton of water: rather, just a little bit is more than sufficient to keep the mushroom spores damp and just moist enough to thrive and grow healthily. Before getting started, you might be surprised to discover that Portobello mushrooms can be grown both indoors and outdoors, with both strategies yielding just about the same results, if done well. Depending on your gardening situation, one or the other will work better for you. When it comes to growing Portobello mushrooms, it is essential that the temperatures remain consistent, so that they grow consistently as well. Since you will be cultivating the spores outside, you will need to be careful with making sure that everything is at just the right temperature. Generally speaking, it is best to cultivate them in temperatures no lower than 50 degrees Fahrenheit (10 degrees Celsius) and no more than 70 degrees Fahrenheit (21 degrees Celsius). Construct a raised bed with measurements of 4 feet by 4 feet by 8 inches deep. 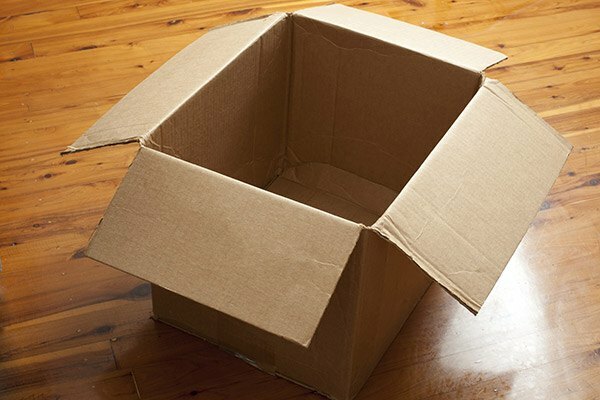 As for materials, we recommend any type: brick, stone, wood, or any other sturdy item to contain it. In a careful manner, pour in somewhere between 5 and 6 inches of manure-based compost into the garden bed and cover with cardboard. This will sterilize your bed, so give it about two weeks to let it take effect before going any further in the mushroom-growing process. Once sterilized, remove the cardboard and add the mushroom spores into the garden bed. Mix it with the soil and compost and give it a few weeks until a thin, white film (mycelium) starts to form a layer on top. 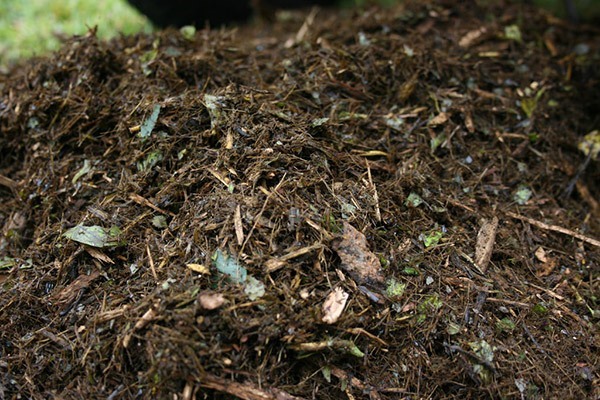 Once the mycelium has developed, add the peat moss and newspaper on top of the compost. 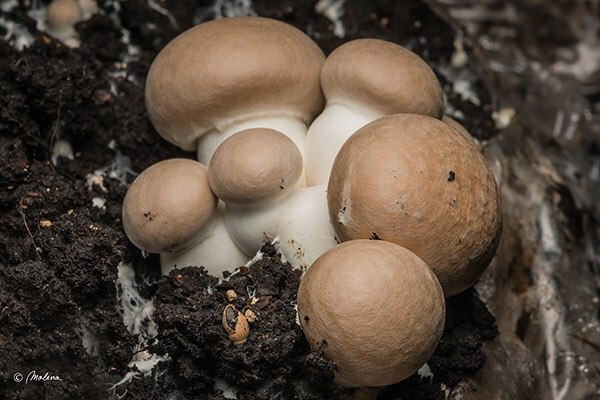 Considering that Portobello mushrooms do not need a huge amount of water to thrive in, all you need to do is give the spores a light misting twice a day to help them grow well. After about ten days, the Portobello mushrooms should be ready to be harvested. Depending on how big you want them to be, you can either choose to let them continue growing inside of the soil, or just pick them as soon as they are ready. In the end, it is up to you! 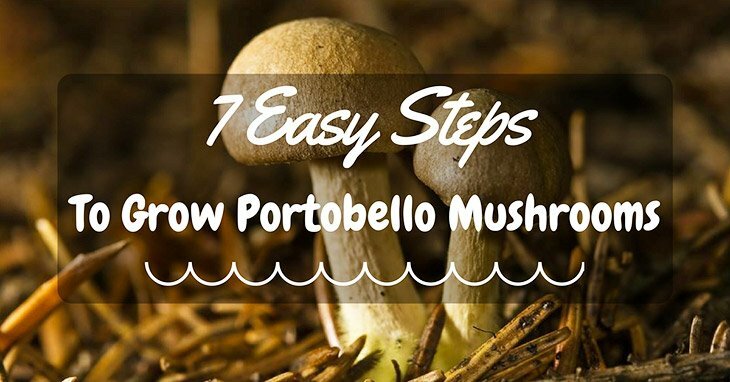 For growing Portobello mushrooms indoors, all you need to do is follow steps 2 through 6 from outdoor growing. It is a very similar process, and the only few differences are that you can control the temperature more inside than outside. Aim for 65 to 70 degrees Fahrenheit (18-21 degrees Celsius). In addition, growing the mushroom spores indoors requires a bit of patience, along with trial and error. Once you mist them, you will need to check up on them from time to time in order to see whether they have grown their small white heads (the equivalent of mycelium). You will need to remove the newspaper to check, as well as replace it if it is not ready yet. Once the small, white heads have formed, they are ready to be harvested. Follow the directions for the outdoor growing to do so. Contrary to what you might have believed, Portobello mushrooms are surprisingly easy to grow and harvest. Not only that, but also they are hardy enough to be grown either indoors or outdoors. With a bit of patience and passion, you will surely grow some of the best, fullest ones for your next dinner meal.